When you’re building your site there are a few steps you should be doing before that step. Creating your blog categories, wordpress tags with seo and blog keywords. So that you can leverage the content that you’re creating by using keywords, categories and tags. This will help drive traffic to your blog and your website without having to shell out tons of money in advertising. 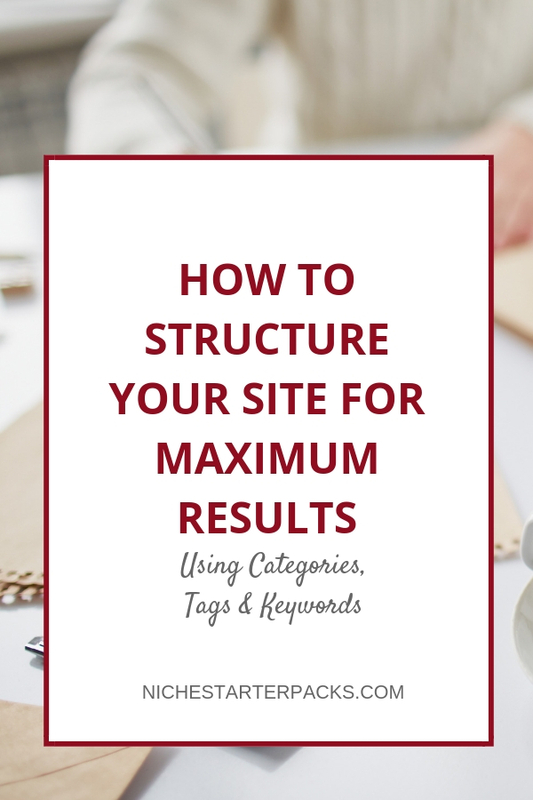 Structuring your site so that people can easily navigate and find content that they need is essential to turning readers into subscribers and helping people. Not only that, but search engine optimization is a fundamental component to getting higher in the ranks on the search engines. Categories are meant for grouping your blog posts. You can also think of categories as a table of contents for your website. You must categorize your blog posts. If you do not have any tags or any categories for your blog posts, it will be impossible for your ideal reader to come to your website and search for a specific topic that they are looking for. When you’re thinking about search engine optimization for your blog, think of it as two search engines. One, for example, would be Google, and the other one would be within the content of your website. There are two different search engine features right there. You need the keywords to hype up the search engine results in the mainstream worldwide web results, and you need categories and tags to help your ideal reader find specific blog posts that pertain to what they are looking for within your site. Tags are meant to describe specific details within your posts. Tags are very similar to index words, so if you are blogging about marketing, a tag that you would be perfect for that particular blog post would be “marketing.” This way when your ideal reader searches your blog and enters a particular word in your search bar; the tag will come up properly because you’ve tagged your blog post according to the topic. 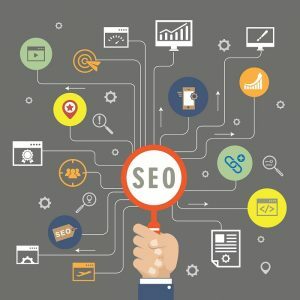 Instead of using common words like marketing to get the SEO juice you’ll want to go to your favorite Website Keyword Tool and find tags that will help you. Find long tail keywords that are more specific than marketing. I don’t offer all of these products, but I’d want to go through these keywords and find ones that work the best for my site. Only use the best wordpress tags with SEO. I wouldn’t want one that said PLR and done for you content. They are both the same thing and you want to think about the structure and how easily it is to find content on your site with these tags. Keywords are specific words or phrases that are used within your content to help position your content to show up first or higher ranking in the search engine results. These are words that people would use to find your site and the subjects you blog about. If you are aware that your ideal client is searching for a particular topic, then that is the topic you want to spend time creating content about. Now, it’s time to leverage your content and optimize it. You can also use Keyword Planner by Google, which will help you research keywords that are important for your existing content and help you leverage content that you create in the future. You will also be able to get historical statistics and traffic forecasts, this way you’ll know what is popular in your industry, and it will also help you map out the content you create. I don’t use that keyword tool much anymore though. I use a wonderful site called Answer the Public. It doesn’t show any stats, but it does give questions that people ask for specific topics. If I want statistics for keywords I use Jaaxy. Here is the website keyword tool that I use. Not only do I use it for my personal blogging efforts on Niche Starter Packs, but I also use it when I provide long tail keywords in my Done-For-You Content Packs. You can try it out with the search bar above. In fact I used the Jaaxy to come up with the keywords for this blog post. When you sign up you’ll get tons more information. I only took what was important to me. I have the exact keyword phrase, the average number of searches each one generates a month and then the keyword quality indicator (KQI) that Jaaxy uses. The KQI is important because it gives you an idea if you’re going to be able to rank for it or not. These all have good and normal. I didn’t pick any that said poor and tried to use the ones that said good. Sometimes you’ve got to go with the better keyword phrase. You’ll also notice that some of these keywords don’t make sense, so it is my job to make sure that the content is easy for my audience to read and that it flows nicely. That might mean I’ll use part of the keyword and add a small word in between. Check out my heading below. I took WordPress Tags SEO and made it WordPress Tags With SEO. While it might not be exact – it is close enough for me and makes reading it easier. However, when you plan your categories, tags, and keywords, it will also assist you in creating your content and tagging appropriately. Have a great and productive!